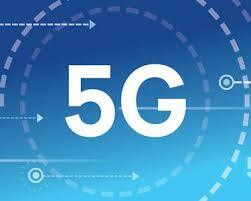 Leading ahead from NR technology, Samsung and Arqiva using mmWave has done it. Leading UK communications infrastructure company Arqiva and Samsung Electronics have today announced that the first field trial of 5G Fixed Wireless Access (FWA) technology in the UK and Europe is now live in central London. Despite a link distance of several hundred meters, the system has established a stable two-way mmWave link with downlink speeds of around 1Gb per second at the CPE. Allowing for simultaneous streaming of more than 25 UHD 4K TV channels as an illustration, this more than meets the needs of today’s typical household with considerable room for future growth. The primary aim of the trial is to demonstrate the stability of the FWA service, and its potential as a fast-to-market and cost-effective alternative to fibre for connectivity to homes and businesses. A Radio Access Unit located on the rooftop of Arqiva’s Fitzrovia office wirelessly links to an easily installable CPE – or router – located by a window inside Arqiva’s nearby headquarters. Samsung’s system – which implements intelligent beam-forming technology and high-frequency mmWave spectrum – then provides high bandwidth connectivity. In commercial implementations, the compact access unit can be mounted on lampposts or similar street furniture to provide reliable gigabit-per-second service to neighbourhoods and businesses alike. The final component is Samsung’s virtualized core – responsible for managing user connections and data routing from Arqiva’s network to the internet – which is running on Arqiva’s data centre servers.